DAN MULHOLLAND is a senior partner in the law firm of Horty, Springer & Mattern, P.C. in Pittsburgh, Pennsylvania. He is also an editor of the Health Law Express, a free weekly e-mail on health law developments, and a speaker at HortySpringer seminars, podcasts and audio conferences. Mr. Mulholland was named by National Law Journal as one of 40 health care attorneys who have made their mark and he is listed in The Best Lawyers in America. Mr. Mulholland has spoken and written extensively concerning a wide variety of health law topics. He regularly advises clients on hospital medical staff, corporate, tax, fraud and abuse, and compliance matters, prepares and negotiates all manner of contracts between hospitals, physicians and managed care organizations. He also serves as trial and appellate counsel in False Claims Act, antitrust, tax exemption, contract and peer review litigation. Mr. Mulholland serves as a faculty member of the Estes Park Institute. 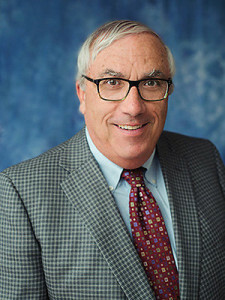 He is the former Chair of the Credentialing and Peer Review Practice Group of the American Health Lawyers Association. He frequently provides strategic counseling to hospital and health system boards, as well as transactional services regarding mergers, acquisitions, joint ventures and affiliations.